Kenan Sofuoglu won his 3rd World Supersport Championship in Portugal. 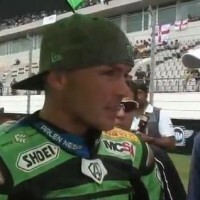 Michael Hill walks the grid for MPH TV ahead of the race and speaks to the riders at the sharp end after qualifying. Kenan also gives an exclusive grid interview just 30 minutes before going on to win the Championship.